Affitacamere Florencedance is located in a historic building transformed through careful renovations into a charming, small hostes. , classic furnishings and define the atmosphere at the Affitacamere Florencedance, one of the most respected hostels in Florence for its elegance, its warm environment and its dedication to its guests, ensuring that they have a pleasant stay in this hostel in Florence. At the Affitacamere Florencedance , comfortable common areas are provided for guests, like the pleasant where give information about historic center of the city or the areas surrounding Florence or where they can read the newspaper or a book while sipping an espresso from the hostel for free. kitchen ,locker wifi for free, the needs of an international clientele that values the style. 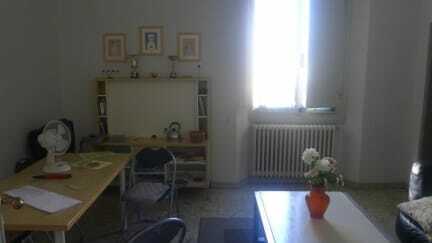 The staff at the Affitacamere Florencedance is the owner of the small apartment is always available for guests' requests and is fluent in Italian, English, and Spanish. we would like to inform you that from 01/07/2011 the city of Florence has introduced a Tourist Tax. Therefore, you will have to pay in cash 3.00 per person, per night of stay. 2 days cancellation policy before arrival. Çok güler yüzlü personelleri var. Tuvalet ve banyolarda gayet temiz. Hatta güzelde bi balkonu var sabah kahvaltınızı veya akşam yemeğimizi balkonda yapabilirsiniz. İki gece konakladık ve çok memnun kaldık.